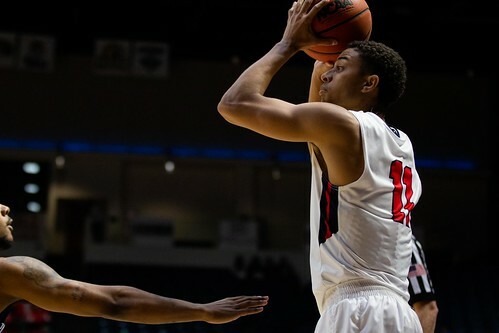 The Belmont men’s basketball team defeated Trevecca Nazarene University 104-50, continuing its strong start to the season with a 4-0 record. Freshman Nick Muszynski had yet another impressive game, earning 16 points and six rebounds in the 11 minutes he totaled against Trevecca. Sophomore Nick Hopkins also scored 16 points and helped the reserves to a total of 57 points. The Bruins led 53-20 at the half and only allowed 30 more points in the second. All available players put points on the board, with no player spending more than 23 minutes on the court. The Bruins will return to the Curb Event Center to face cross-town rival Lipscomb University on Dec. 4 at 5 p.m.. Article and photos by Carina Eudy.